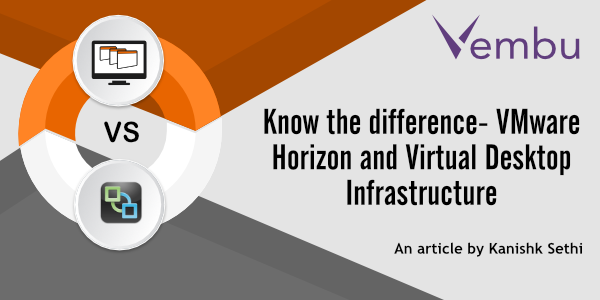 Dedicated this article to talk about how VMware Horizon is different from a traditional Virtual Desktop Infrastructure (VDI), will start the discussion with VDI by understanding its major characteristics and then will proceed further with how VMware Horizon is different from VDI and will also have a look at the various aspects of VDI that VMware Horizon relies on. With VDI all the guest operating systems supported by VMware ESXi can be used as desktops, depending on the requirements within the organization we can go ahead and create desktops for Windows, RedHat, Ubuntu, etc.VMware vCenter Server is used to manage the resources and the Virtual Desktops, we can also leverage various features and functionalities like High Availability, Distributed Resource Scheduler and Templates available within vCenter Server to efficiently manage the resources and to deploy Virtual Desktops. In Virtual Desktop Infrastructure, we can make use of various connection brokers aka connection server which helps us to automate the connections from user PC’s to virtual desktops, connection servers act as an helping hand for organizations running with help desk user environment where every user needs the access to the same desktops.Various TCP/IP based remote protocols like Remote Desktop Protocol, Virtual Network Computing (VNC) which uses a remote frame buffer protocol can be used to connect a remote client to Virtual Desktops. VMware Horizon is Highly customizable VMware solution for Virtual Desktop infrastructure focusses on various features and capabilities, It is a complete package solution which provides desktop management, pool management, application virtualization, storage management, application entitlement and provides support for Windows 10, Windows8.x, Windows 7 Desktops,Window Server 2008 R2 SP1, Windows Server 2012,Ubuntu,RHEL, CentOS,and Neokylin Linux Desktops. VMware Horizon provides important displays protocols for remote access 1) Blast Extreme provides VMware’s new Blast Extreme protocol provides rich user Experience through the LAN or WAN by using H.264 as the default video codec. These video codec are considered crucial when thinking about the great user experience as it impacts various factors like “latency”, “bandwidth”, “frames per second (FPS)”, blast extreme can be used with NVIDIA GRID GPU to offload the encode-decode process from CPU to dedicated H.264 engines on NVIDIA GPU. 2) PCOIP is proprietary UDP based protocol developed by Teradici and provides security by using encryption and transmission, PCOIP provides one of the rich feature i.e progressive build operation means the image which is visible to end user on his system improves progressively. VMware Horizon is a one stop shop client solution which helps us to manage operating systems, hardware, applications, and users independently of one another, irrespective of their locations, with VMware Horizon we can streamline desktop and application management, increase data security through centralization, and achieve greater end-user flexibility and IT control. 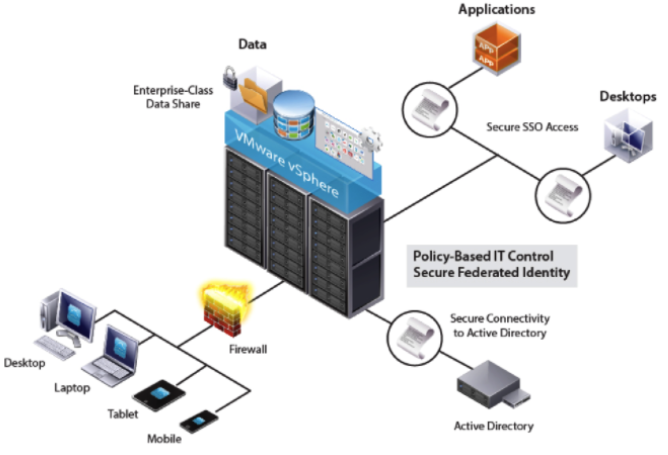 VMware horizon does that by encapsulating the operating system, applications, and user data into isolated layers, allowing the admins to change, update, and deploy each layer independently for greater business agility.